Replaces ISBN 9781908684882. 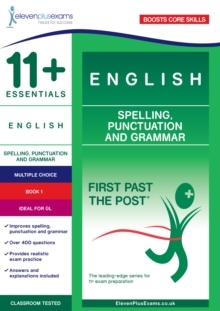 A good vocabulary is at the heart of 11 plus and Common Entrance exams, such as those set by the Centre for Evaluation and Monitoring (CEM), compiled by Durham University, and Granada Learning (GL), also known as NFER. 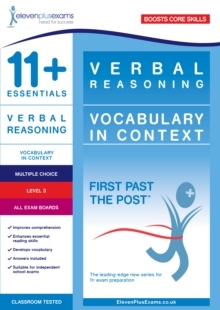 Both the verbal reasoning and comprehension sections of these exams typically contain questions to test breadth of vocabulary and ability to infer meaning for previously unknown words. 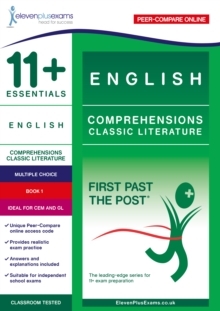 This book contains intentionally difficult and unfamiliar vocabulary to encourage students to infer the meaning of new words from the context of the given classic or contemporary passage. The Vocabulary in Context series of books increase in levels of difficulty so as to encourage consistent, long-term development of reading and comprehension skills. 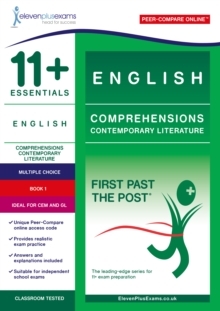 The purpose of this book is to develop the important skill of reading in context and not just for memorising new vocabulary. 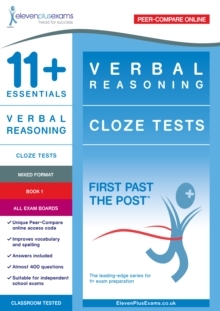 This book targets the key skills involved in verbal reasoning and comprehension and is a unique and form of study for the 11 plus. This book also includes an interesting word origin or idiom on each page.